Any funny quirks of the genre and so on. All in all, it should be a fun couple of months here, so please check by often to see what’s up. Of course, I’ll be announcing the guest bloggers at all my usual places, Twitter, Facebook and MySpace (Links and follow info to the right there). 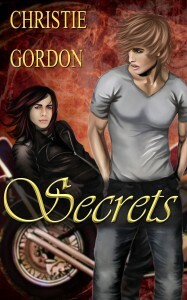 And that picture at the top, holy cow – I swear that is exactly what I picture Logan to look like in my next full-length novel, “Secrets“.